Strawberry Lemonade! 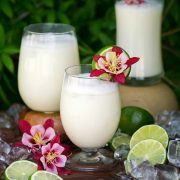 When served ice cold this is one of the most refreshing drinks ever and I love that it is brimming with so much fresh and fruity flavor! It has the perfect blend of tart and sweet and it will likely become a go-to use for all the strawberries that are in season. 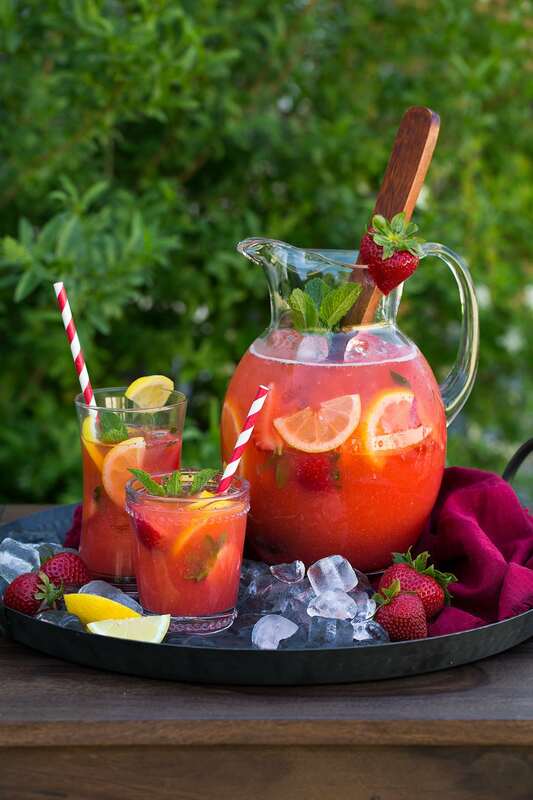 Homemade Strawberry Lemonade, the Perfect Summer Recipe! Strawberry lemonade is one of the best summertime drinks! When strawberries are in season I always need to make this at least once. This drink was actually inspired by one I’ve been getting at a restaurant for years and I finally decided I should start making it at home, and it’s even better with it’s abundance of fresh strawberries! This recipe makes a large pitcher full but it can easily be halved or on the other hand if you need enough for a crowd you can easily double it as well. It’s a simple, easy recipe but with a flavor this good no one would know it. Add strawberries to a food processor and pulse until smooth, while stopping and scraping down sides occasionally, about 1 – 2 minutes. 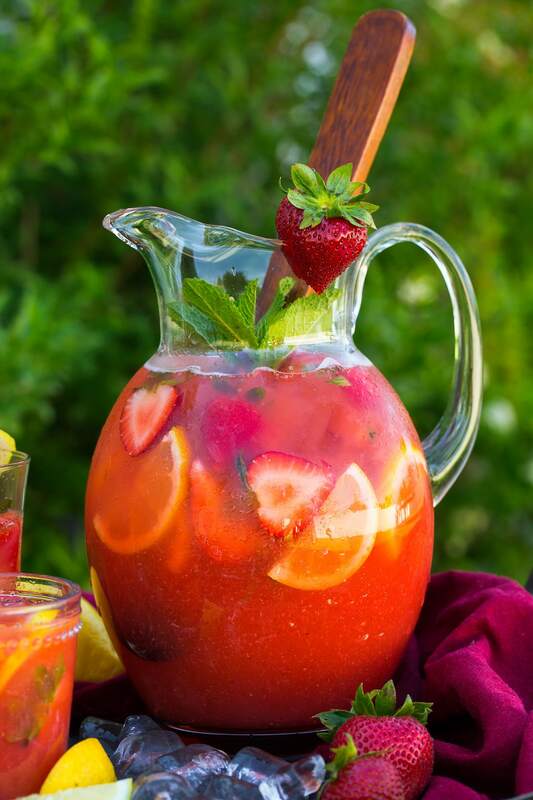 In a large pitcher stir together strawberry puree, water, lemon juice and stevia. Add ice or pour over individual glasses with ice. Garnish with lemon wedges and sliced strawberries. Made with Stevia instead of Sugar! 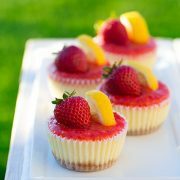 Here you get those same classic flavors of strawberry lemonade without the guilt from all the added sugar! 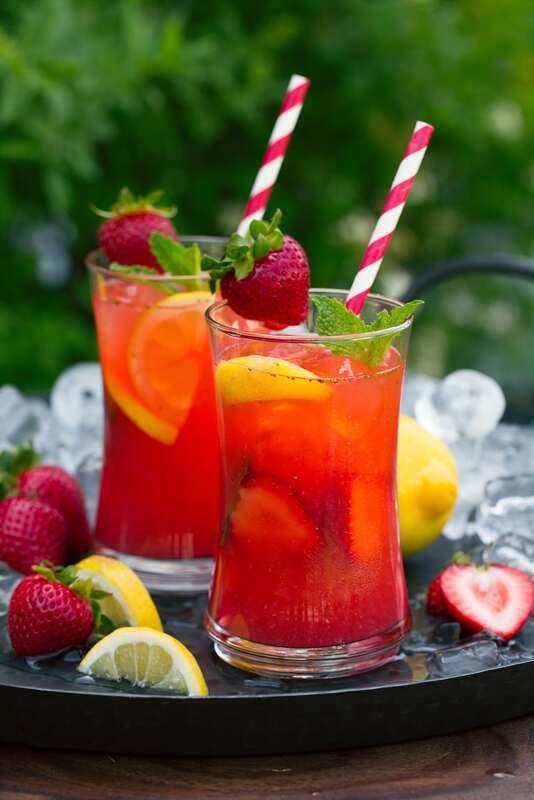 This Strawberry Lemonade is sweetened with stevia so you save a lot of calories and the only sugars you get are natural ones from the fruit. For this recipe I used Wholesome Organic Stevia®. I’ve loved every Wholesome sweetener I’ve tried and the Wholesome Stevia is no exception to that! It can be used in drinks, smoothies, oatmeal or other whole grain hot or cold cereal, it is also a great way to sweeten plain Greek yogurt. I love that it’s perfectly sweet with no weird bitter aftertaste. It has zero calories and no glycemic impact – which is also great if you are counting calories or controlling blood sugar spikes. And not all stevia products are created equal. Wholesome Organic Stevia is Organic, Non GMO, Vegan and Kosher. I love that it’s a product I feel great about eating and serving to my family! My kids love soda but I don’t buy it too often, but with this product it’s a great way to make a sweet drink for them like this lemonade that I feel good about them drinking. 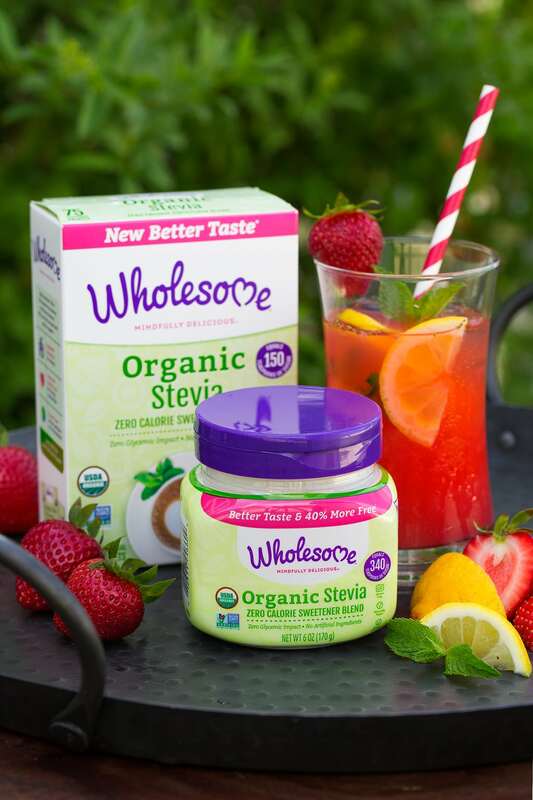 Click HERE for a coupon code to try Wholesome Organic Stevia for yourself! When served ice cold this lemonade is one of the most refreshing drinks ever and I love that it is brimming with so much fresh and fruity flavor! It has the perfect blend of tart and sweet and it will likely become a go-to use for all the strawberries that are in season. Add strawberries to a food processor and pulse until smooth, while stopping and scraping down sides occasionally, about 1 - 2 minutes. 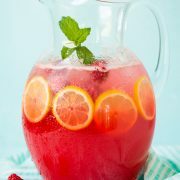 In a large pitcher stir together strawberry puree, water, lemon juice and stevia. Add ice or pour over individual glasses with ice. Garnish with lemon wedges and sliced strawberries. *If using packets, this is about 30 - 36 packets of the Wholesome Stevia. I made this today and it turned out so beyond amazing. I used honey to sweeten mine instead of Stevia and added a dash of vanilla. It was so very good and my family (husband, mom, sister & nephew) loved it!!! Have you made it with raspberry yet? I may try that next time. Keep sharing these awesome recipes.